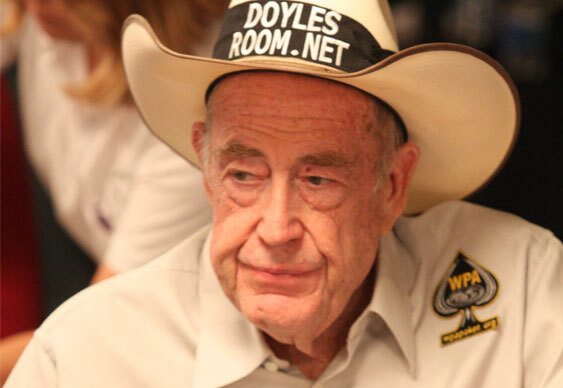 He might be one of the most famous faces in the poker world but that he's stopped someone trying to impersonate Doyle Brunson for financial gain. According to a recent tweet from Doyle, an unknown thief has been using his personal details somewhere in the US in order to obtain loans and credit cards. Although it's not known how the thief got his hands on Doyle's details, a series of unexpected letters from various banks prompted him to check out the situation and upon some investigation he discovered that his social security number and credit card details had been stolen. As yet it's unclear whether or not the thief has been apprehended, but with most of the community now on this tail it shouldn't be too long before he's spotted trying to pass himself off as the 10-time bracelet winner.